Birthday cake for my Mother-in-Law who likes angels. In this case, the angels are helping to decorate the cake. :) She has amazing willpower and doesn't eat sweets, so the cakes are dummies. 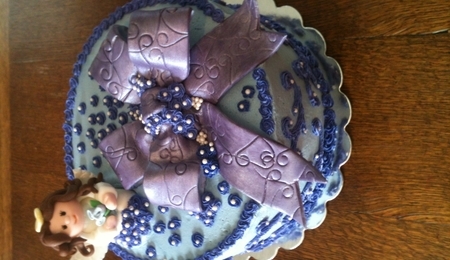 Cakes are covered and decorated with fondant and royal icing; angels are made from fondant, gumpaste, and royal icing. 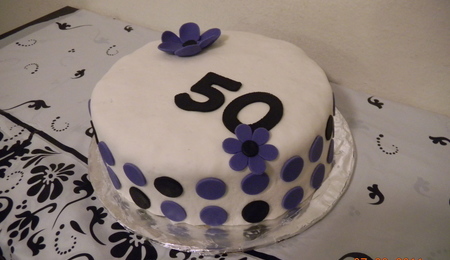 Inspired by a cake in the Wilton yearbook, and a cake made by Peggy Porschen in her book, "Amazing Cakes."